Sheriff’s Homicide detectives are seeking the public’s help to identify a man found dead in Wilton earlier this week. Shortly after 1:30 a.m. on April 2, 2012, Sheriff’s deputies responded to the area of Riley Road and Dillard Road regarding a call of a man lying in the roadway. Upon arrival, deputies discovered an adult male who had sustained several gunshot wounds. The victim was pronounced deceased at the scene. The victim is described as a Hispanic male in his late 20s to late 30s, who was 5’5” tall and weighed approximately 150 to 160 pounds. He had short dark brown hair, brown eyes, a mustache and a mole near his right cheek. The victim also had a scar on the inside of his left arm, near his bicep. When discovered, the victim was wearing blue ‘Raider’ brand denim shorts with a brown leather belt over a pair of ‘Joe Boxer’ underwear, but no other clothing. A composite sketch (see attached) has been prepared, in the hopes that someone will recognize the victim and provide his identity to detectives to help with this investigation. 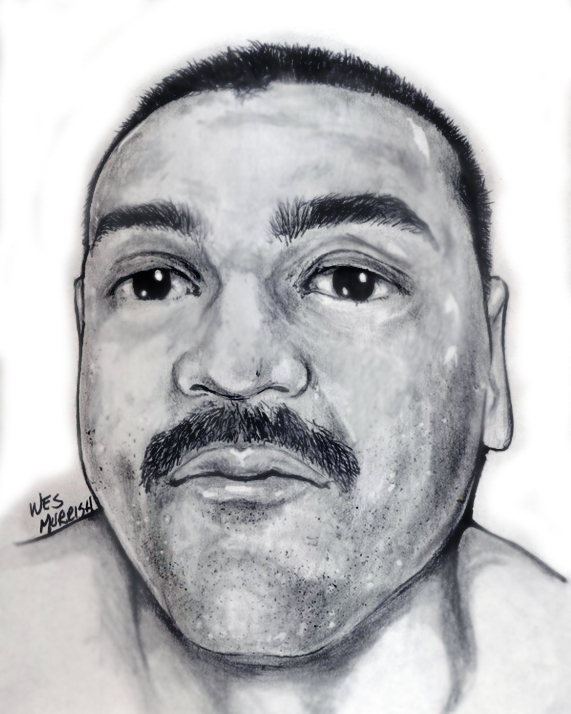 Anyone believing they know the identity of the victim described and depicted here is asked to call the Sheriff’s Homicide Bureau at (916) 874-5115. No Comment to " Sac Sheriff's Seek Help Identifying Murder Victim Found in Wilton "